Rhettallain's interactive graph and data of "Bounce Height vs. 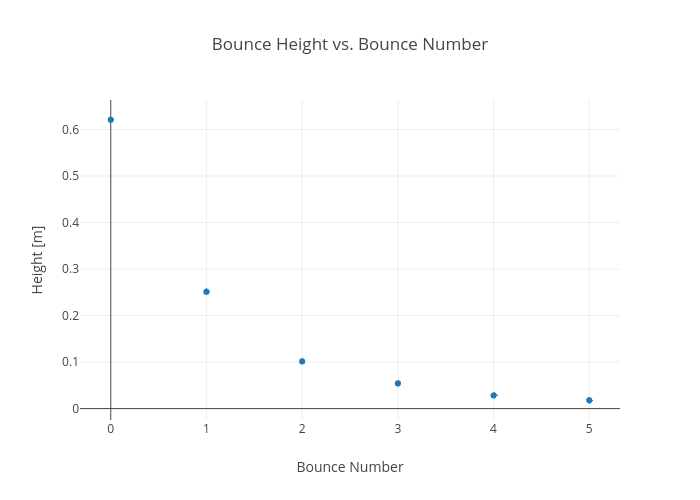 Bounce Number" is a scatter chart, showing Height [m]; with Bounce Number in the x-axis and Height [m] in the y-axis.. The x-axis shows values from -0.30907315607631064 to 5.309073156076311. The y-axis shows values from -0.024285751295336784 to 0.6631857512953367.